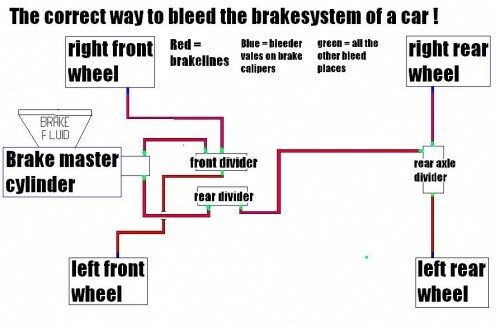 Just started bleeding all four calipers, starting on the rear axle, working my way forward. The pedal is a lot harder now, but with the booster assisting the pedal when the engine is running I notice that it still makes the first centimeter of the pedal stroke soft. When driving I get better response from the brakes, but it’s weird that when I press it fast, the first bit stays mushy, and when I press it slow they feel a lot firmer. the Hachi has just a single brake line to the rear axle with a divider located on the front of the axle.